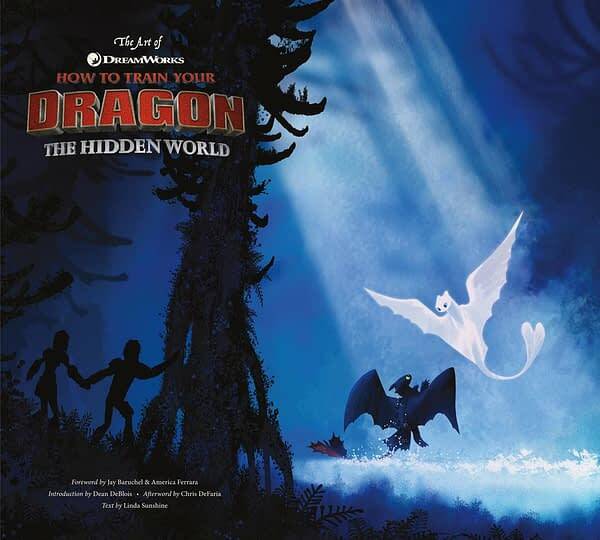 The latest (and final) chapter of the How to Train Your Dragon franchise, which is, frankly, a lot better than much of its ilk, is DreamWorks Animation’s upcoming How to Train Your Dragon: The Hidden World. And Dark Horse, or better known these days as Geek Coffee Table Books That Sell a Lot More Than the Comics are putting together a 184-page deluxe hardcover book featuring never-before-seen art from the film. The book goes on sale March 5th, 2019, and the film arrives in theaters on March 1st, 2019 — which is pretty damn close. It showcases the new tale of Toothless and Hiccup through hundreds of pieces of original art, with commentary by director Dean DeBlois and the many artists who worked on the film. It is also now available now for pre-order at Amazon. C.B. Cebulski Meets John Byrne – Discussing Marvel Comics Publishing X-Men: Elsewhen?